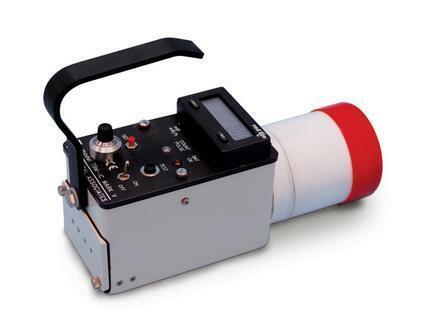 We provide to our clients a wide range of Ion Chamber Based Survey Meter to the market. These products are manufactured by vendors using supreme quality material and advanced technology in line with industry set standards. Furthermore, our products are available in diverse technical specifications that meet on patrons demand. Furthermore, we offer this product at affordable prices. Incorporated in the year of 2010, we Kapi Engineering are a leading wholesaler, trader and supplier of an exclusive collection of Heart Rate Monitor, Contamination Monitor, Calibrator Machine, Head Phantom, Liquid Scintillation Counter, Personal Dosimeter etc. These products are manufactured with strict follow the set industry defined norms at vendor end. Our offered products are widely recognized by our clients for their high durability, fine finishing, and high performance. We are offering our products at leading market price within the requested period of time. Additionally, these products are highly used in various hospitals and clinics. Also, we are offering Calibration Repair Services to our valued clients. We are also the service provider of Quality Services, Radiation Protection Services and Calibration Repair Services.